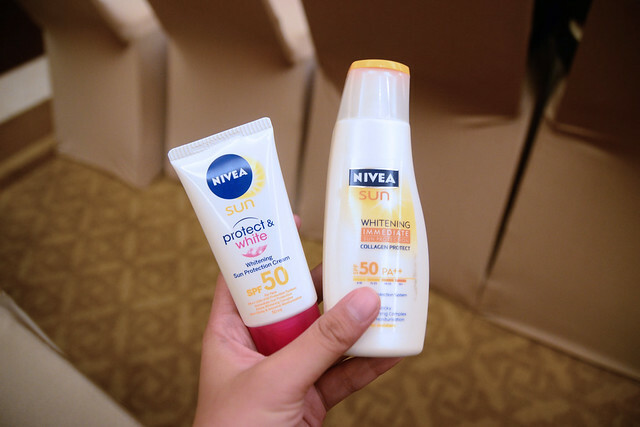 The weather has gone cray cray lately and I just hoped I can just relive my summer moments where I could get to enjoy activities under the sun, not worrying about getting tan line. We're just lucky that year-round sunshine is just one of the many perks of living in a tropical country such as the Philippines. From the makers of Breakout Manila, they'll be bringing in something exciting this September 26- 27, 2015, at Filinvest City, Alabang. 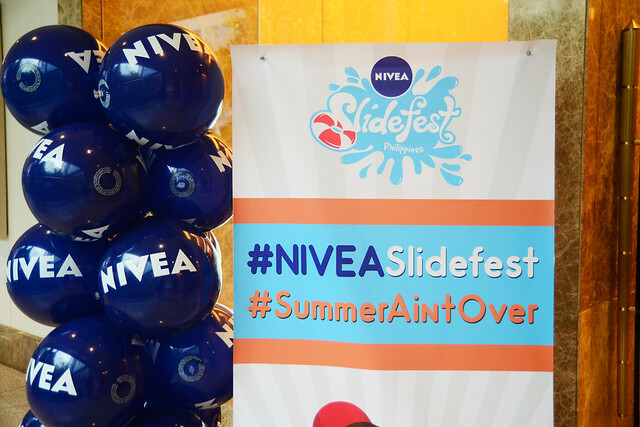 Get pumped up as the biggest slip and slide event in the country becomes even bigger as Slidefest Philippines partners up with the most caring sun protection, NIVEA SUN, with NIVEA Slidefest! 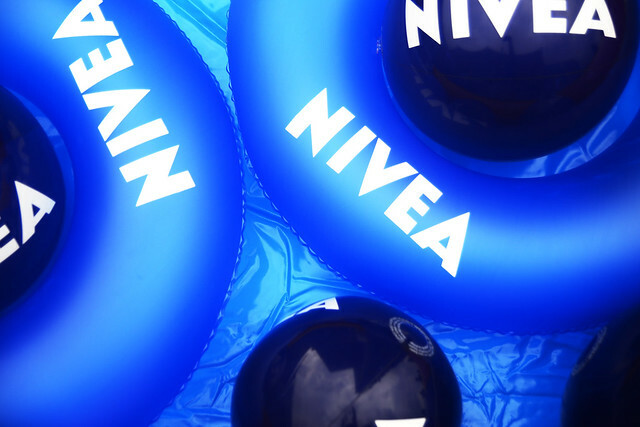 Now, you can expect worry-free fun under the sun as you slip through clouds of foam in the biggest slide in the country and as you enjoy the exciting new inflatables and fun booths NIVEA Slidefest has to offer. 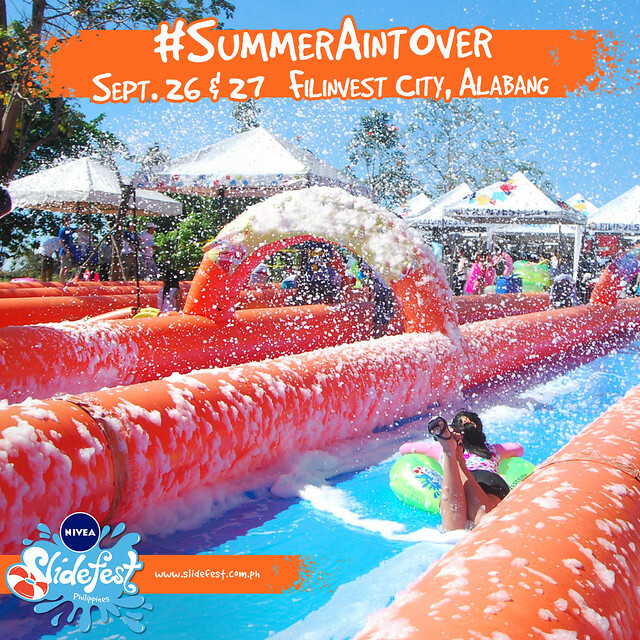 If you were able to experience the first slidefest earlier this year at Subic, you might have observed the long waiting line before you can experience the 1000 ft. slide. But now, things will be different since Slidefest will be bringing in two new friends to join the fun: An inflated maze and an inflated obstacle! 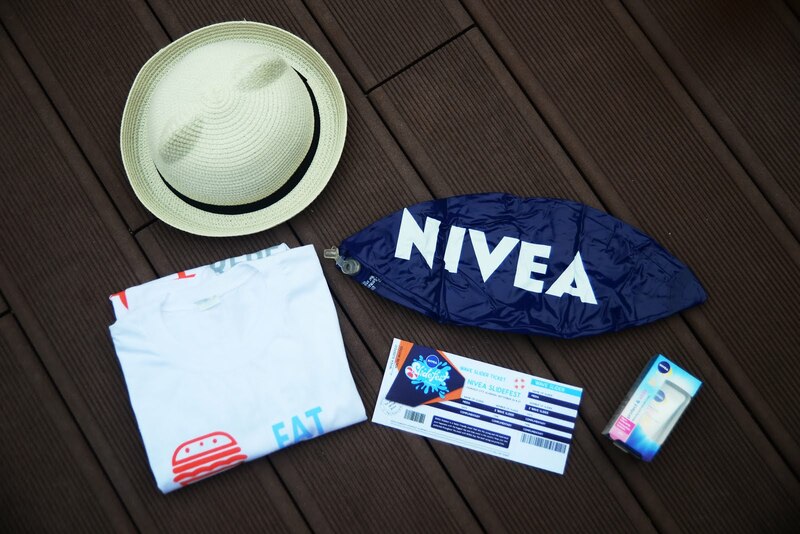 The fun doesn’t stop at sundown as NIVEA Slidefest turns into a giant party with performances from the hottest DJs in the country such as DJ Nina Saputil, DJ Kat De Jesus, DJ Migs Santillian and DJ Marlo Naval. 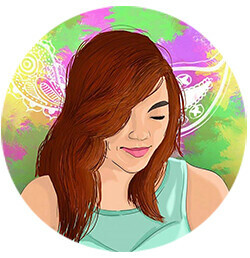 You can experience happiness at Slidefest with three types of passes. This is truly one unique and must-not-be-missed activity not only for family but for cliques as well! I know you'll definitely agree. I got my Slidefest kit already! See you there? 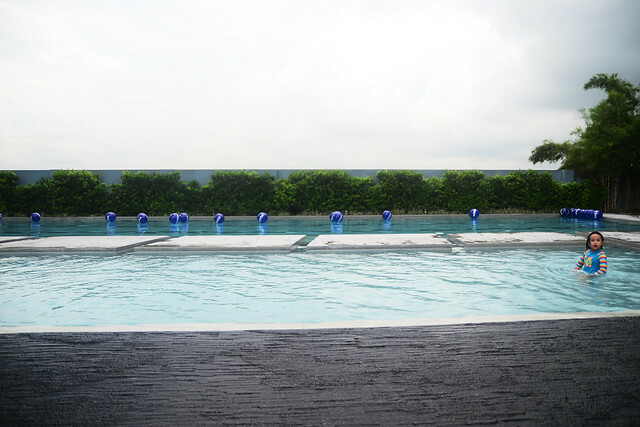 To register, visit www.slidefest.com.ph for online reservation and payment. 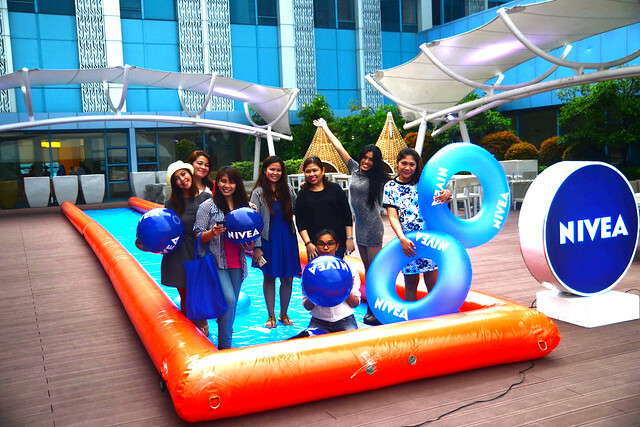 BYS Philippines Celebrates Three Glam Years!